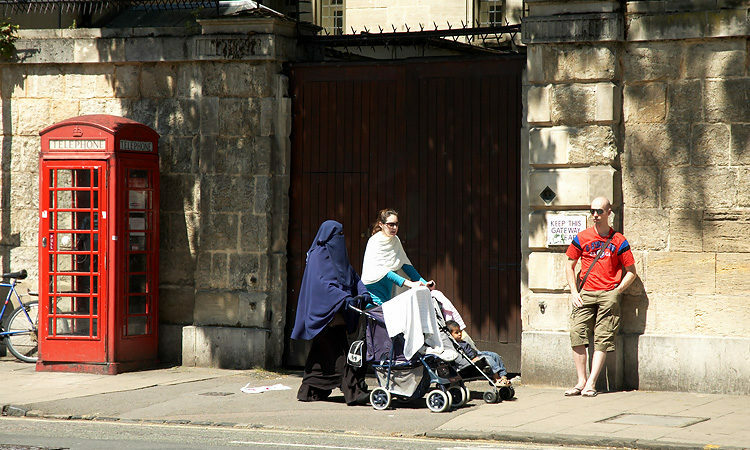 There has been a four-fold increase in hate crime targeting Muslim women who cover their face or hair in public since Boris Johnson’s racist comments were published in a national newspaper last week. Watchdog Tell Mama has said there is a “direct link” between the jokes made in Johnson’s Daily Telegraph column on 5 August comparing Muslim women to “letter boxes” and “bank robbers” and a spike in abuse. The Tory politician, meanwhile, has avoided commenting on the row, instead seeking to deflect criticism by making tea for journalists waiting outside his house. “It is clear that there is a spike in reporting of anti-Muslim hate incidents after the irresponsible flippant comments from Boris Johnson. In total, the charity reported that 21 women wearing hijabs or niqabs experienced abuse, harassment or threats of violence in the week from 6 August, compared with five incident the week before. Four were called “letter boxes” by strangers, and one was accused of being a terrorist. In one incident reported to Tell Mama two pensioners loudly echoed Johnson’s comments in front of a Muslim woman in a doctor’s surgery, making her feel uncomfortable. The woman, who wears a hijab, told the organisation that no one intervened as the mother and daughter, in their 70s and 90s, mocked a women in a niqab being interviewed on television. She said they were aware that she was sitting just behind them in the waiting area, and deliberately raised their voices so she would hear what they said. The incident, which took place in London, occurred on 8 August – just three days after Johnson’s comments. Tell Mama said there was “a clear community impact” from Johnson’s remarks, with “women being directly affected”. The organisation condemned the politician for not considering the effect his comments could have. “In the current febrile atmosphere around Muslims and migrants, Johnson should learn that comments that strengthen the dehumanisation of groups of people like Muslim women, have real world impacts. Tell Mama has previously warned that politicians and media outlets must “consider their language” when reporting on news events and talking about minority groups, as individuals with underlying prejudices can easily be emboldened to act by comments that normalise racism. To some people, Johnson’s remarks appear to have made the unacceptable seem acceptable.